Fairfield is a modern One storey nursing home purpose built to deliver the highest standards of 24 hour care to our residents. This friendly and welcoming home offers Nursing and Residential care as well as Respite care which provides a welcomed break for home carers. There is a nurse on duty 24 hours a day. Fairfield's accommodation comprises of 36 rooms 3 of which are double rooms to cater for couples, and all have en suite facilities. 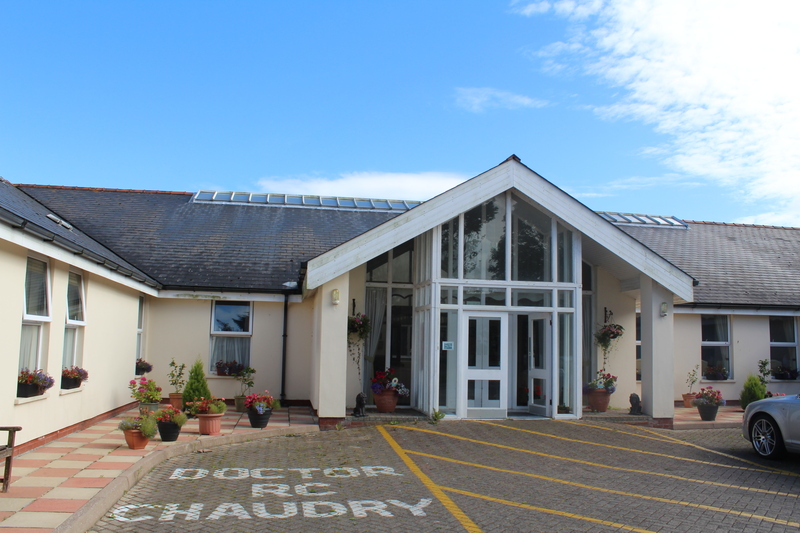 There are a number of communal areas, a large lounge, dining area and a conservatory which has been used for family gatherings or the odd birthday celebration! There is also a patio area set in the peaceful grounds of Fairfield. Our residents can pursue their hobbies or they can be entertained by watching TV, listening to music, or taking part in any number of activities organised by our entertainments co-ordinator. Activities can take place in the home or you can be supported to take part in community activities, shopping trips and special local events out of the home, every attempt is made to meet our residents' social interests both as a group and individually. Fairfield provides a full and varied menu for mealtimes, and has recently introduced a choice menu, where residents can order a meal of their own choice, if you do not like the food on offer that day. We cater for all dietary needs. Refreshments are available 24 hours a day, and we also cater for special occasions such as birthdays or anniversaries. We are a warm, airy, welcoming home, with friendly, caring and professional staff. We have a weekly hairdresser, or you may prefer to visit the local salon. We have regular church services and Communion. You are more than welcome to contact us on 01437 891668 if you have any queries or would like more information, or please visit when it is convenient for you where a warm welcome awaits. I look forward to meeting you and welcoming you to Fairfield – where caring comes first.